Nestled in orchards on the green outskirts of the city, this hotel combines the personal ambience of a privately run countryside place with the comfort and high standards of an international business hotel. Special feature: 33 spacious hotel apartments for long-term rental. 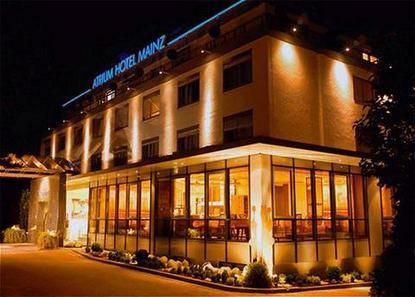 7 km to the city center, Railway Station Mainz 7 km, Motorway/ Highway Exit A60 1 km, Exhibition Site Rheingoldhalle Mainz 8 km, Wiesbaden 14.0 km, Rhine River, Rhinegau 10.0 km, Mainz Old Town 7.0 km, Eckes Granini Deutschland 15.0 km, Eberbach Abbey / Historic Monument 20.0 km.